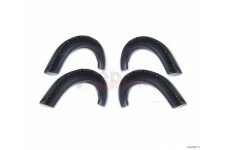 This 4 piece fender flare kit fits 08-10 Ford F-250, F-350, and F-450 Super Duty trucks except dually. 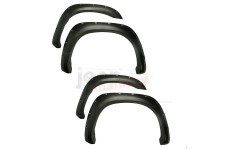 Adds2-inches of tire clearance front and rear. 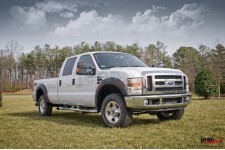 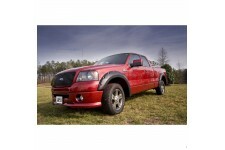 This 4 piece All Terrain truck fender flare kit from Rugged Ridge fits 04-08 Ford F-150 trucks. 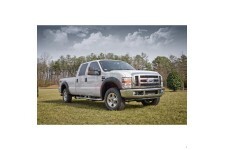 Adds2-inches of tire clearance front and rear. 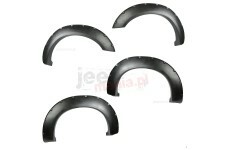 This 4 piece All Terrain fender flare kit from Rugged Ridge fits 09-14 Ford F-150 pickups. 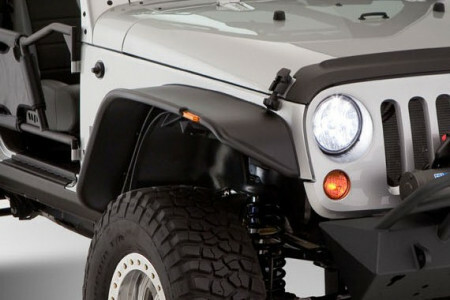 Adds2-inches of tire clearance front and rear. 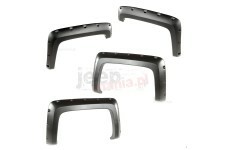 This 4 piece All Terrain fender flare kit from Rugged Ridge fits 14-17 Chevrolet Silverado 1500 short bed pickups. 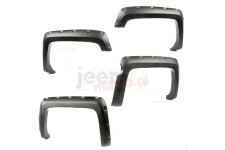 This 4 piece All Terrain fender flare kit from Rugged Ridge fits 14-17 Chevrolet Silverado 1500 long bed pickups.